After much time spent hanging out here anonymously I finally decided that today was the day to jump in as well. Let me know what y'all think! LOL That is funny! I can see Sokka being all "Alright we are gonna add a happy little tree right here....and now a happy little cloud"
^ I'm thinking the same about being cute. 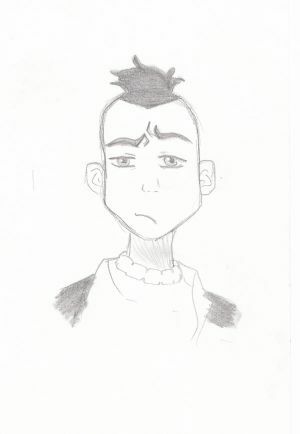 I like Sokka's expression. His face is the best part. Minor critizim, his hand is bit small. Otherthan that, I really like it. Exactly what I was thinking in my head while drawing this! Thanks! I agree with you on the hands. They are my Achilles Heel. Have another picture for you to get your day started with, this time it's Aang . Hope that everyone has a fun night tonight! ETA: I finally figured out how to add the actual photo. Yay! Lol very funny picture, hope you make more! awwww..... this is soooo cute!!!!!!!!!!!!!! I have a few pictures for you today. 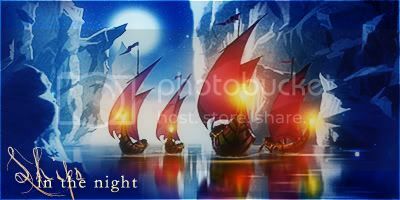 I just put a whole bunch on my deviantArt account, if you are interested in looking, but I've got my Avatar stuff right here! First is a study of Aang that was one of the first Avatar related drawings that I did. The scale is a bit off but I just love him sledding! 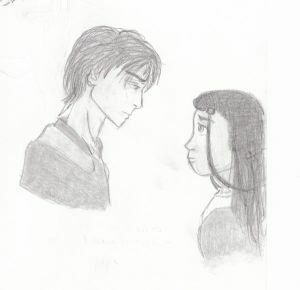 In the never ending battle of Kataang vs. Zutara, I came up with this scene of Zuko and Katara having to say goodbye to each other. However, Sokka is not impressed by any of it. 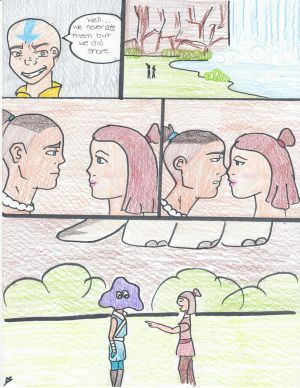 i love the look on sokka's face... priceless! Hey everyone. Again, I'd like to thank you all for your comments. I love reading them. So life in real life has been super busy these past few days, hense the lack of posting from me. However, I can make it up to you by posting this comic that I drew out all based on fruit pies. Now, before you start thinking thoughts that can only come from reading to many stories of fruit pies and tent sounds and the like... know that this comic is appropriate for all ages! Hehe very funny! Keep up the great work! Re: Cerulean's Avatar Art (11-06 four New pics! Wow, I have a couple of things to post on here today. I'll elaborate more on them as they are shown. As always, enjoy and leave a comment! This was inspired from the shipping thread. 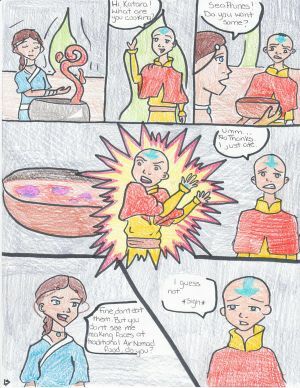 See there for the complete details, but to sum up, Aang most deffinatly would be one to sing (loudly) in the shower. Just a little Air Bender practicing before his final exam. I forget where I was reading this on the boards here but it was a few days back that y'all were talking about Iroh and his past. This is just a little blip from my mind of him reflecting on his past as he drinks his tea. 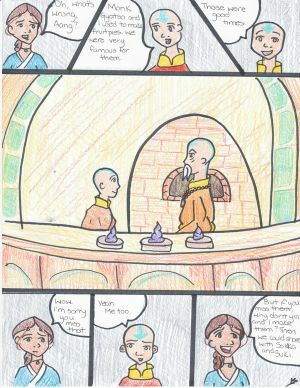 love the comic and and the aang washing himself one! I always love pictures of Iroh...he is the philosophical core of Avatar...I wish he was a lyricist, he would be up there with Roger Waters. "Hey you, out there in the cold, getting lonely getting old, will you touch me?" Me too. I would be hard pressed to have a 'favorite' character from Avatar, but Iroh would be on my short list. And while we can't be certain if what he sings are of his own composition, I love the songs. Thanks! The idea came from you guys, I just drew it out. But since it has gotten some love, here is the next in the series, Katara! 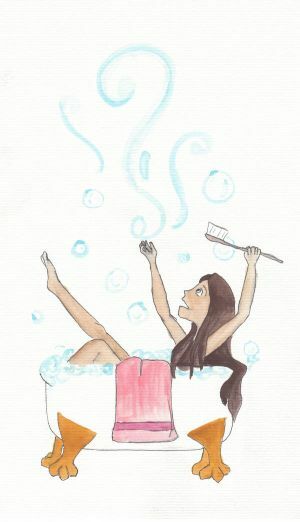 I know it's not a shower, but she seemed more like a bath girl so me. 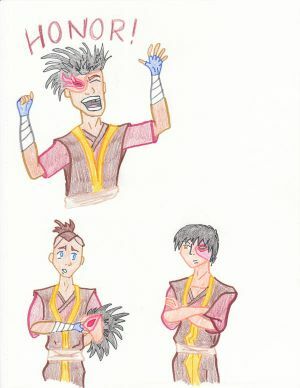 I always feel a bit sorry for Zuko. He never seems to have as much as the rest of the gAang. For example, Aang gets Appa, Momo (and the girl); Sokka had Hawkey; Bumi has Flopsie; Sozin and Roku both had Dragons! But what does Zuko get? 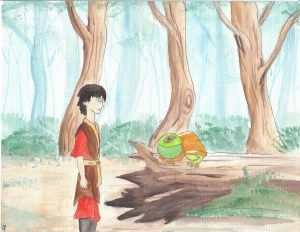 Lol Zuko gets a frog xD awsome drawing! and that's one awesome frog zuko has! 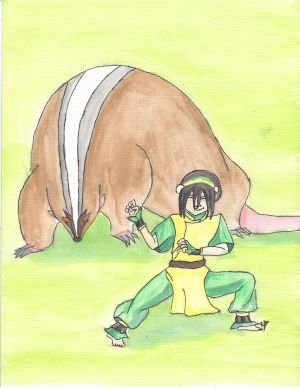 oh, do you mind if you can draw a toph picture to me? I do use colored pencil, as well as marker (crayola! ), watercolor, pen, and graphite. Usually I mix my mediums within the pictures. Todays painting was sketched in pencil, painted in watercolor and outlined in pen. One Toph painting coming up! I am planning on doing a series with this idea, the element, bender, and animal companion. So Earth gets Badgermole, Fire a Dragon, Air the Bison... What does Water get? The moon? Let me know if you know. awesome, i love it! you mind if i print it out and hang it in my room? oh, and foor water maybe you can do those spirit fish, one's the moon and the other is the ocean. i think there names are tui and la. so yeah, there an idea you can try out! you mind if i print it out and hang it in my room? Edit: The picture is done! Yay! This is my first ever in Photoshop, so as can be expected there are a few imperfections. But this was a lot of fun to color and I'm hopeing to do more like this. 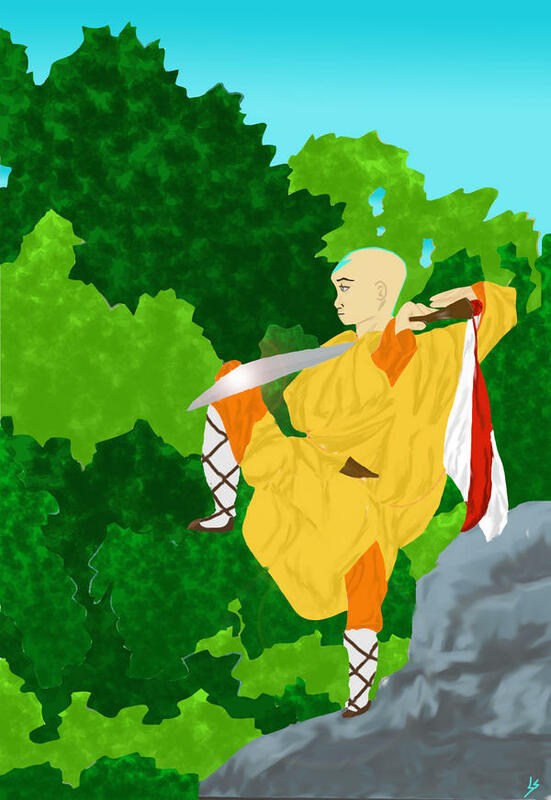 For this picture I took a drawing that I already had done and colored it in Photoshop and added a little arrow to make him an offical Airbender. So what'cha think? I love the picture! Your really good! It's amazing for 1st time photoshop! 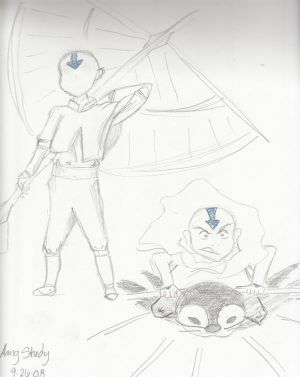 I also like the position aang is in, he's ready to fight! Oh, and thanks for letting me print out the pic. There really nice! Small critizim, ya see his leg, look at the shape. It isn't straight. And his other foot is miniture. That's all. Otherwise, great art man!